UPDATED: Fri., Sept. 14, 2018, 9:09 a.m.
TACOMA – Officials will be testing a train-control system along the tracks in the South Sound this weekend. 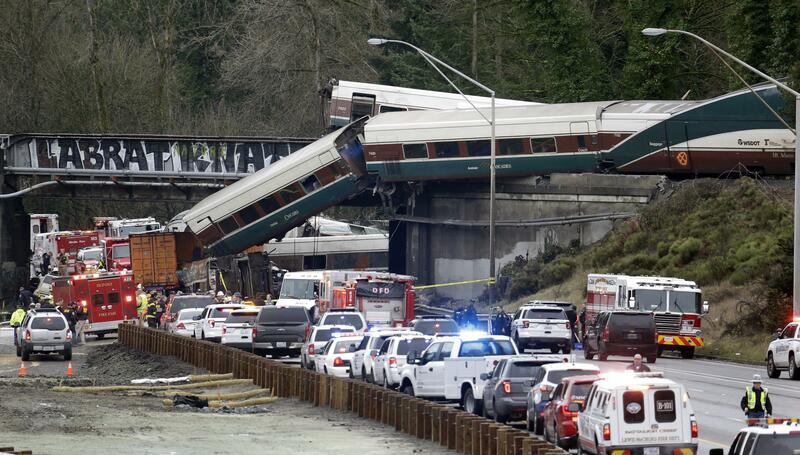 KIRO-TV reported that it’s a system that officials say could have prevented a deadly Amtrak train derailment last year. Nine months after the disaster, the Washington transportation department and Amtrak will work together test the system along the Point Defiance bypass, which will include tracks along Tacoma and DuPont. The goal is to prevent another disaster, like the one south of DuPont where three people were killed when a Amtrak train derailed. Investigators later found the train was going more than twice the speed limit. The system can help override the controls if a train is going too fast. The deadline for the new train control system to be installed there is December 31. Published: Sept. 14, 2018, 9:06 a.m. Updated: Sept. 14, 2018, 9:09 a.m.